Juniper Grouse = grouse in a marginal area pre-treatment. You can see where one tree has been mulched. 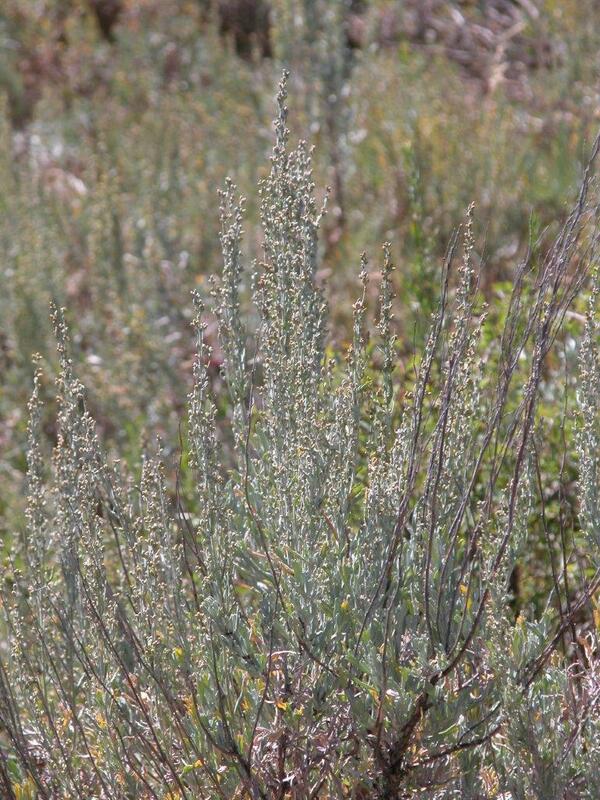 There is little sagebrush or grass to provide cover for the grouse. 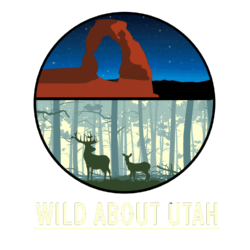 In the past decade, over 45,000 acres of land in southern Utah have had conservation treatments by removing the encroaching pinyon-juniper forest and allowing the native grasses and sagebrush to return. 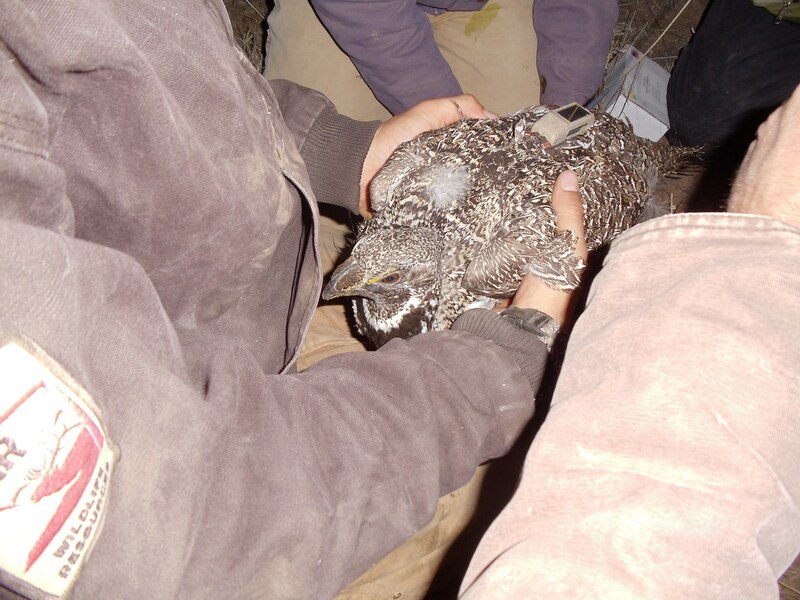 With the use of GPS units, scientists and manager are able to witness the positive impacts these treatments are having on Utah’s Greater sage-grouse population. They monitor the movement patterns of the grouse and determine how the birds use their seasonal habitats throughout the year. Female and male grouse have similar habitat needs during the winter, but choose different landscapes when their needs change during the nesting and chick-rearing seasons. Wildlife managers call the grouse a “landscape species” because they have to manage a variety of different communities for the grouse to thrive. During the months of January and February when the habitat is at its coldest, females and males have the same needs – to stay warm, find food, and avoid predators. Fortunately, sagebrush provide the resources to meet all these needs. While grouse huddle under the brush for protection from frigid winds, deepening snow and roaming predators, they avoid having to search for food since the bulk of their nourishment comes from the leaves of the sagebrush. 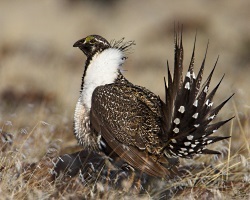 The grouse simply reach up, nibble on the leaves, and remain safe in their protective sagebrush tent. 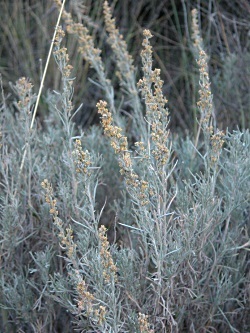 When they have consumed all the leaves from one bush, they simply move to another sagebrush. In the spring, the needs of the females change dramatically. Once their chicks have hatched the females search for a moist place where the chicks can eat a variety of bugs and green vegetation to receive the necessary nutrients for fast growth. 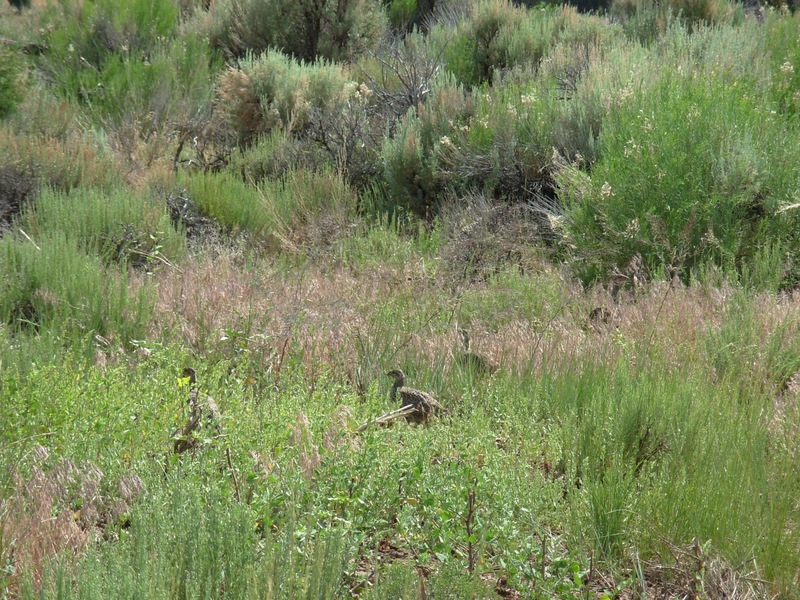 By fall, the chicks are grown and the adult females return to the dry sagebrush habitat and prepare for winter. The biggest struggle sage grouse have in the southern region is a fragmented habitat. They have to fly dangerous distances to reach the variety of habitats they need. One of the first conservation treatments occurred in Sink Valley in 2005. 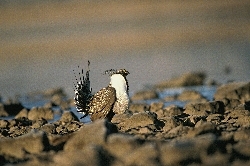 Prior to this, female Greater sage grouse in Sink Valley would spend the summers in the agricultural fields south of Alton, which were laced with danger. 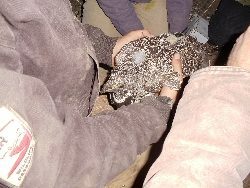 A couple of times grouse got bailed up and researchers would find the transmitters in a hay bale. At other times, an eagle would carry off birds and the transmitter would be found with a hole in the side from the eagle’s claw. Within two years after the Sink Valley treatment, researchers stopped finding females anywhere close the agricultural fields. 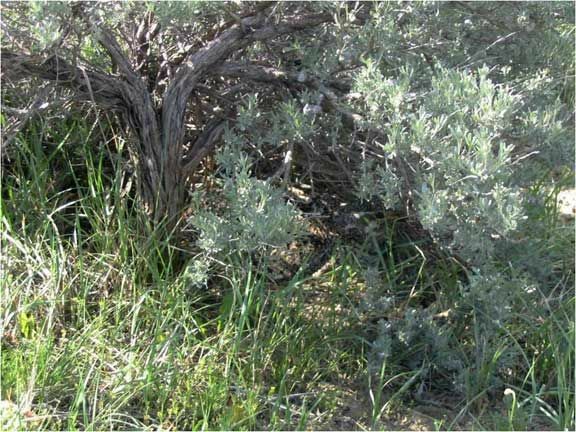 The sage grouse were now able to find grasses and forbs in close proximity to their nests. In other words, the future of Utah’s Greater Sage Grouse is looking bright. 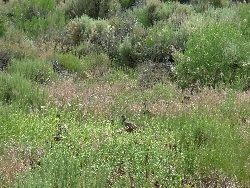 To learn more about Utah sage-grouse conservation, please go to www.utahcbcp.org. So what happens when you get a bunch of ranchers together with a bunch of scientists and agencies? I found the answer as I attended a meeting in a remote part of western Boxelder County a few evenings ago. I was pleasantly surprised to discover much good for both wildlife and people. This was a formal meeting under the auspice of the West Boxelder Conservation Resource Management (CRM) Group targeting greater sage grouse recovery. It was a very informative meeting covering everything from juniper forest removal, prescribed burns, and reseeding to enhance range for cattle, birds, and wildlife. 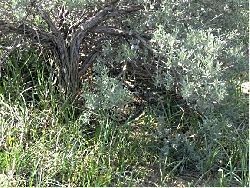 I learned that due to wildfire suppression which is essential to maintaining healthy range conditions, juniper forests have replaced thousands of acres of grasses, forbs, and sage steppe communities. 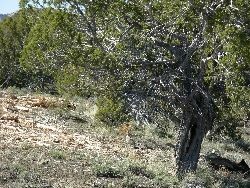 I was also informed that pinyon pine will be preserved honoring Native American traditions which is central to their culture and diet. 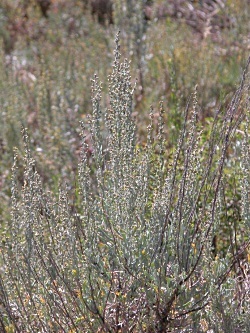 In addition to this work, the group addresses general rangeland condition and invasive species. The CRM is planning wetland and riparian improvements that will provide resting, feeding, and nesting sites for migrating birds. 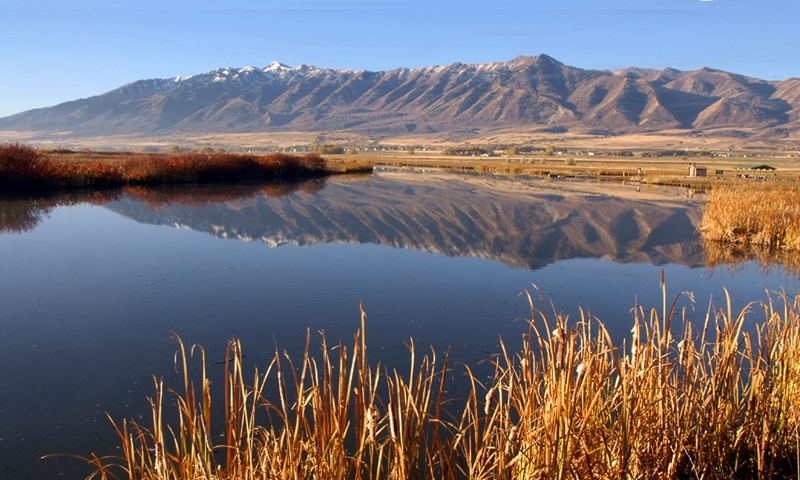 Fencing has been put around key springs and off-site water sources have been developed. The reintroduction of beaver to the stream will help the extremely limited water supply by slowing the spring water runoff, stabilizing the stream banks, and raising the water table. 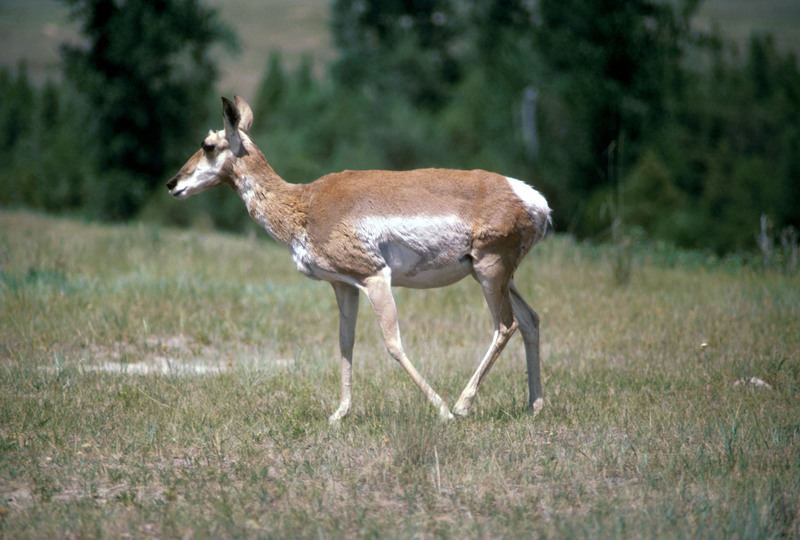 There was a lively exchange regarding a paper published in a respected science journal by USU authors addressing grazing impacts on grouse populations. The Greater Sage Grouse has become a species of special concern due to plummeting populations, and is considered an umbrella species being its recovery should be paralleled by other sensitive faunal species. A statement in the papers abstract “Our meta-analysis revealed an overall negative effect of livestock grazing on grouse populations.” raised some red flags with the ranching community. Reading further, this study was conducted on a different grouse species in the U.K. There appeared to be a peaceful resolution to this concern and agreement that future abstract wording would get more scrutiny before published. I also learned the verdict is still out on grazing impacts on the greater sage grouse. Intense research is underway in the CRM attempting to find answers. My prediction is with all of the range restoration activity combined with well managed grazing will eventually result in higher grouse populations. This good work has not gone unrecognized. In 2016, the West Boxelder CRM was presented with the Sage Grouse Habitat Stewardship-Collaborative Award from the BLM as an ideal example of a community-based land stewardship organization that is committed, engaged, and active across land ownership boundaries. A tip of the hat to all interests on this remarkable effort!